Learn what it really means to be measuring brand awareness effectively and how your company can continue to achieve high-level awareness in our competitive world. Whether you work for a B2B or B2C company, a common term executives and other department heads talk about is brand awareness. Its impact contributes to business growth, revenue, and buyer perception of your overall company and products. What is brand awareness? Brand awareness represents how familiar your target buyers and prospects are with your brand and how well they recognize it. Growing brand awareness is incredibly impactful for young companies, but even for well-known brands to continue to retain their image. With the amount of information and ads our society consumes, brand awareness can also easily begin to fade. Yet, a big challenge you may have, as well as other marketing members or executives, is how do we measure brand awareness effectively? Are we measuring the right areas to prove ROI on our brand initiatives? The way companies measure brand awareness can tend to vary. This depends on what marketers or executives seem to value most. Yet, others who know that brand impact is important, may not be too concerned with actually having any concrete data to measure against. While that is not the route you want to go, it’s also a bit understandable. How does one actually measure a metric like brand visibility or name recognition? That is typically the main challenge with measuring brand awareness. There is no definitive number to simply look at and it cannot be measured in the traditional way of analyzing data. 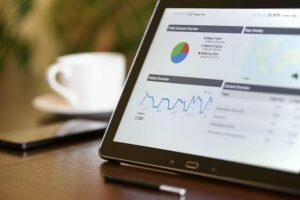 However, you can still review activities and some metrics will give you enough valuable insights to help you determine ROI on your brand awareness initiatives. Before we discuss measuring brand awareness, it’s important to get on the same page with your team and executives. By that, you can’t measure brand awareness if you all have a different idea of what it is and what matters. Everyone needs to agree on the definition, how you view it, and what’s important to the company. With any brand awareness campaigns, ensure your team only measures the key metrics instead of a hodgepodge. Doing too much at once and trying to impact multiple metrics, can prove to create low results. Clearly define a select number metrics you want to improve. Don’t expect fast results. Pending your company size, you may see some relatively quick results, but brand awareness is a long-game approach. As mentioned above, measuring brand awareness is not always as easy or clear. But instead of ignoring or not worrying about the impact, you still need a way to measure the ROI of campaigns and marketing effectiveness. So what activities can you measure to accurately report brand awareness results? This is simply people going right to your website or typing it indirectly. If consumers and prospects are going directly to your website instead of through other mediums, it’s a good indication of their brand awareness. You do want to ensure if you have a product where customers can login from your main website, that it is filtered out. That can skew the data. Additionally, this does not prove the quality of your direct traffic, but a good indication more and more people have the brand in their mind. Social media plays a huge role in growing brand awareness, but also is a way to measure impact. Social media engagement can include everything from follower growth, interactions (comments, likes, shares), and clicking posts. The amount of engagement can reflect how many people are aware of your brand and interact on a daily, weekly, monthly basis. The growth of your site traffic should also be monitored. While traffic can come from all sorts of areas like direct, organic, social, paid, etc. It can also indicate more people are aware of your brand and more opt to click content from you. More traffic doesn’t guarantee more leads, but it can still provide insight into how interested and engaged people are. This includes a combo of things. First, use marketing tools to look at your search volume through branded terms in Google. You can also set up Google Alerts for brand mentions or if any third-party websites mention you. Also, look at the organic reach of social posts, that is how far your brand messages are potentially being seen. You can use things like Twitter analytics and Facebook’s insights to see your brand reach. Similar to setting up Google Alerts for brand mentions, you can monitor social media platforms for who is commenting, tagging, using your company hashtags, etc. This not only includes customers and prospects but even your competitors. A growing number in these areas can show your brand awareness is growing. There are various solutions listening tools you can use in order to monitor. 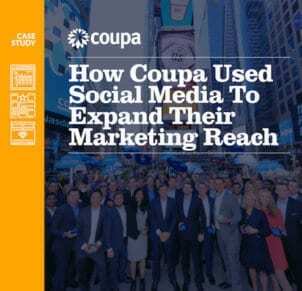 Related: Learn How Coupa Software uses a social employee advocacy platform and strategy to increase marketing reach and drive brand awareness. Grab your free guide. Social media has become one of the top areas to focus on growing your company’s brand awareness. And it’s no wonder with close to half the world’s population (3.03 billion people) are on some type of social media. (Statusbrew). Social media platforms like Twitter, Facebook, and LinkedIn give you access to reach tons of consumers, prospects, and customers. 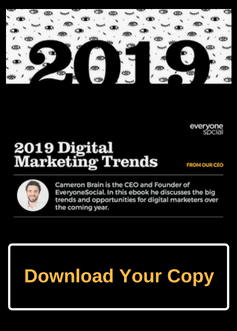 More than ever, people go to social media to do research on brands, find information, and connect with brands. 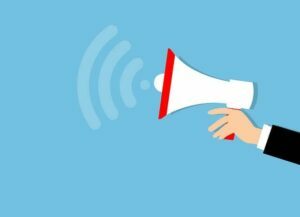 Here are Some Tips to Grow Your Brand Awareness on Social Media. People want to follow and engage brands that are human. Develop a personality that is not regurgitated fluff, find your tone of voice or constant links with no commentary. Looking for more? Here are five ways to make corporate social media more genuine. If you want your brand awareness and recognition to grow, your social profiles need to have consistent branding. People who are new to your brand and social profiles may only spend a few seconds. You need to grab them right away. But this also sets your brand to be recognized outside of social media as they may come across your content, product, or services later. There is nothing worse than a brand on social, just robotically posting links and nothing more. Sure, it can work somewhat for a little, but it will not help your brand awareness grow. Your company handles need to be social, comment, respond, tag people/brands, follow people, and just get involved. It may take time, but your reach and awareness continue to expand. Many brands when having some ad budget, spend it on paid social advertising. Major social networks have given the power and content priority back to the individual, and less on the publisher or company. Which means pay-to-play is here. But, it can be a great way to target your demographics and audiences that would value your brand. No this does not mean creating work social spam armies, that’s the opposite of good. 76% of individuals surveyed say that they’re more likely to trust content shared by “normal” people than content shared by brands. Paid social can get quickly get expensive and doesn’t always have the best results. Yet, because social algorithms give precedence to individuals, employees have a great opportunity to help their company reach new audiences. This doesn’t mean force them to spam their networks, nor should it be required. With a strategy and program in place and with great company culture, you’ll naturally create a team of social brand advocates. 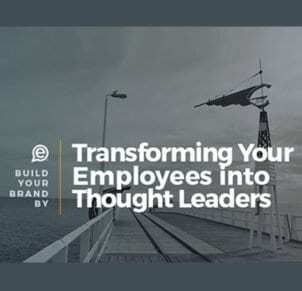 Related: Learn how Dell increases their brand awareness and drives more leads with 10,000 employees sharing on social media. Get your case study. Mix it up on various platforms, don’t always use a link or post the exact same copy at the same time. People notice and feel less connected to your company brand. 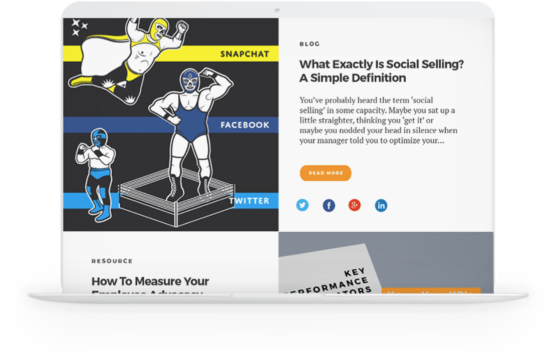 By mixing up the content, repurposing a blog post into a social post without a link, etc. you’ll steadily see more engagement and brand reach. Educate your audience on your industry, teach them something related to what your brand is or does. Stop trying to always sell your products or services. It’s okay to mix that in, but “how-to,” research, case studies, data, etc will perform much better. Your company becomes a go-to resource, which builds brand credibility and awareness. Measuring brand awareness — like any other initiative — is crucial in the success of your company’s growth, revenue, and audience perception. You’ll focus on numerous avenues to grow your company brand, but without knowing the ROI, you may be focusing time on weak campaigns. Hopefully, the above gave you some clear insight into what to measure when trying to prove success or privot in your brand awareness strategies. Additionally, social media is one of the fastest growing mediums for brands to be and is not going away anytime soon. Ensure you have a strategy for social media to boost your brand reach and awareness. 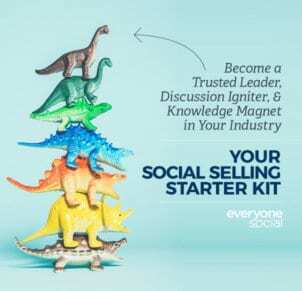 If social media is a core part of your company’s DNA and you want to drive brand awareness, leads, attract top talent, and keep your workforce engaged, employee social advocacy might be the perfect fit. 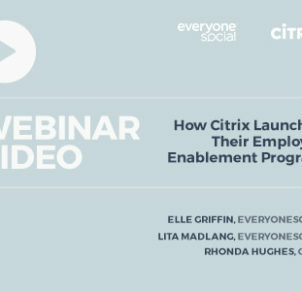 Learn how to build a powerful social media workforce with this employee advocacy guide.